News From the Other Side of the Pond #5! BREAKING NEWS: YOKO ISHIDA TO APPEAR IN CONCERT AT AKIBAFEST! Moonies aged 16 years and older in Springfield, Virginia are in for a treat come August 11th! AkibaFest is sort of a mini anime con that for one night will feature a dealers room, contests, and a dance… oh and a CONCERT! 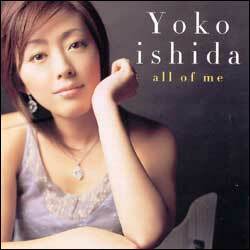 This year’s guest is Yoko Ishida , who sang the popular Sailor Moon R ending theme Otome no Policy (A Maiden’s Policy). Yoko has also had some of her music released by Geneon in North America. Also hosting the event will be Akihabara visual performance duo , FICE! This should be a really neat event to attend and if any of our readers are attending, we would love to hear how it went! Motoki Continues as Masked Rider! 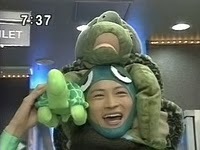 Motoki Furuhata (played by Masaya Kikawada) was always a riot in PGSM , from his obsession with turtles to his relationship with Makoto. After PGSM ended, he was seen in a few movies, including the popular Battle Royale II, and more recently, Dear Friends with PGSM’s Sailor Mars, Keiko Kitagawa. He hasn’t left the superhero genre! Instead of playing second fiddle to the senshi, he is known to legions of Kamen Rider fans around the world as Takeshi Hongo, Kamen Rider 1! He first appeared as this superhero in the hit, Kamen Rider: The First (which is available on DVD in North America). The movie is going to have a sequel, called Kamen Rider: The Next, and it will be hitting theaters in Japan this Fall! Masaya will return in his starring role, to fight against the evil terrorist group Shocker. This movie will probably be dark, and is set to be a hit among Kamen Rider fans! Special thanks to Moon Chase! reader UltraMatt for alerting us to this sighting – he also mentioned to us that Kamen Rider’s body attack from the old V3 series is very similar to Sailor Moon’s Sailor Body Attack! 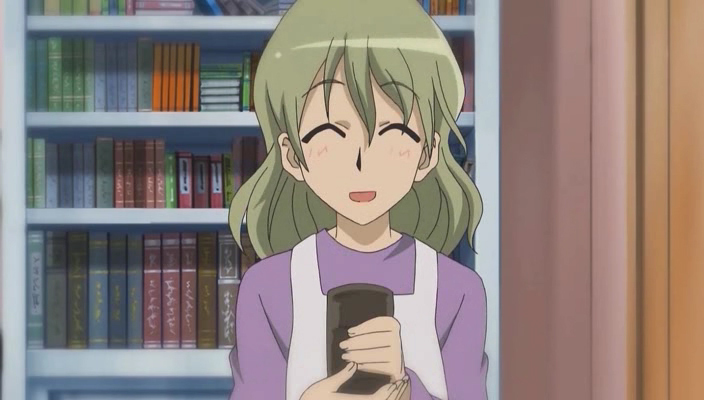 Emi Shinohara Has a Cameo in Hayate no Gotoku! Hayate no Gotoku (Combat Butler Hayate) is a series we recommend all our readers check out – it’s a great, comedic anime about the humble butler Hayate Ayasaki, who serves the whimsical heiress, Nagi Sanzenin. Unfortunately, life has never been easy for Hayate, who is often dealt many bad cards! We’re not going to spoil this series much more , but regular viewers of the series might have heard a familiar voice in episode 14! Emi Shinohara (Sailor Jupiter) appeared as the mother of sisters Hinagiku and Yuukiji Katsura. Unfortunately, the elder Yuukiji was not happy to see her as she was having a crisis, and pushed her away to go bring her some milk tea instead of telling her how she was doing. Sadly, we never saw her again in the episode. Though the role was small, it was nice to hear Emi in this wonderful series (which has already parodied Sailor Moon)! We hope to hear from her again in later episodes! Yet Another Sailor Sighting in an Anime! We first heard about this sighting from Kyaa the Catlord on Genvid’s forums . The sighting was found at the beginning of episode 3 of “Hayate no Gotoku” (Hayate the Combat Butler) , where the preceding episode was recapped. This Geneon produced series is based on the manga about an unfortunate teenager, Hayate Ayasaki whose irresponsible parents abandoned him to pay off their ¥ 150,000,000 debt. As fate would have it he meets a 13-year-old heiress, Nagi Sanzenin. He saves her life, and is hired by her to serve as her butler. This series is hilarious! There’s narration, breaking of the fourth wall, parodies of other anime, and some very creative censorship (to mock worldwide censors) in each episode! In episode 2, Nagi got angry with Hayate and kicked him out of her mansion. Hayate was then surrounded and kidnapped by the very people who had lended his parents money but were never repaid. These debt collectors were about to put him on one of their ramshackle ships when Nagi appears with a mask as the super hero “Mask the Money!”. She pays off his debts and saves him. And here’s the scene in question! EDIT: We will be providing screenshots very soon. In episode three, things change and Hayate is now forced to spend the rest of his life working for her to pay off this gesture. We recommend this anime to fans looking to watch an anime comedy or looking for a good laugh to take their minds off things! The episodes are currently being fansubbed by several groups.